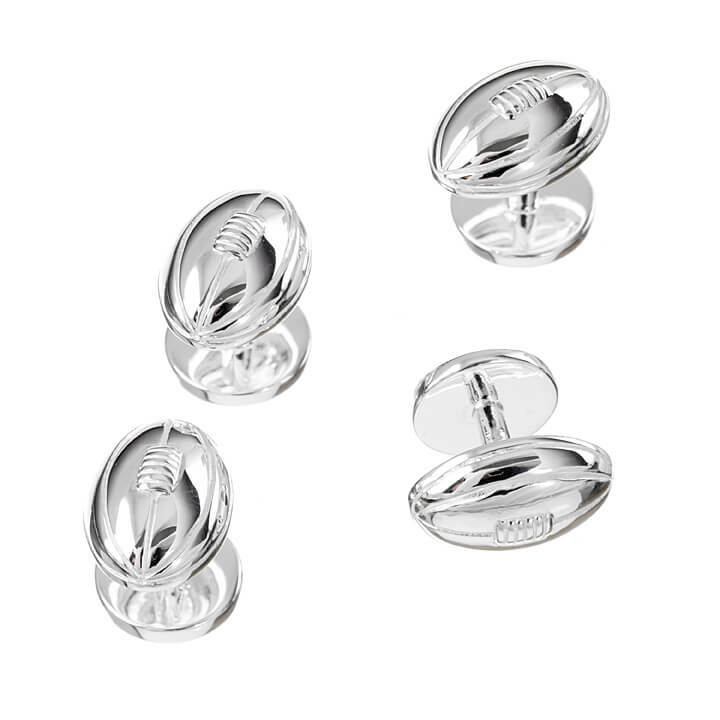 Be the centre of attention with our amazing Sterling Silver Rugby inspired Dress Studs by helping you to look sophisticated and stylish for any formal function. • Includes luxury gift bag &polishing cloth. Pair up with Murray-Ward Rugby Ball Cufflinks for the perfect ensemble.